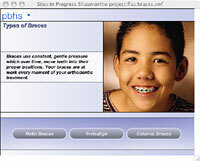 || Find out if Braces are right for you. Call House of Smiles Phone Number 254-680-4450 to schedule your consultation. For more information about Braces or to schedule a consultation with Dr. Saxena or Dr. Mehdipour, contact our office today. We look forward to meeting you! 5 out of 5 stars based on 15 reviews. I recently left another clinic due to poor service. I am very happy to find a Dentist that offers quality service with a smile!